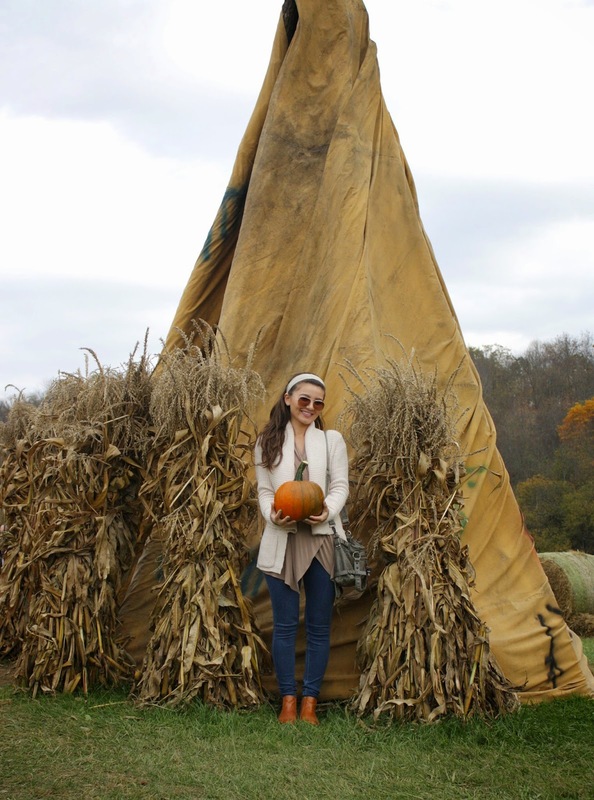 Having decided to get my fall on, I went to a pumpkin patch this weekend. 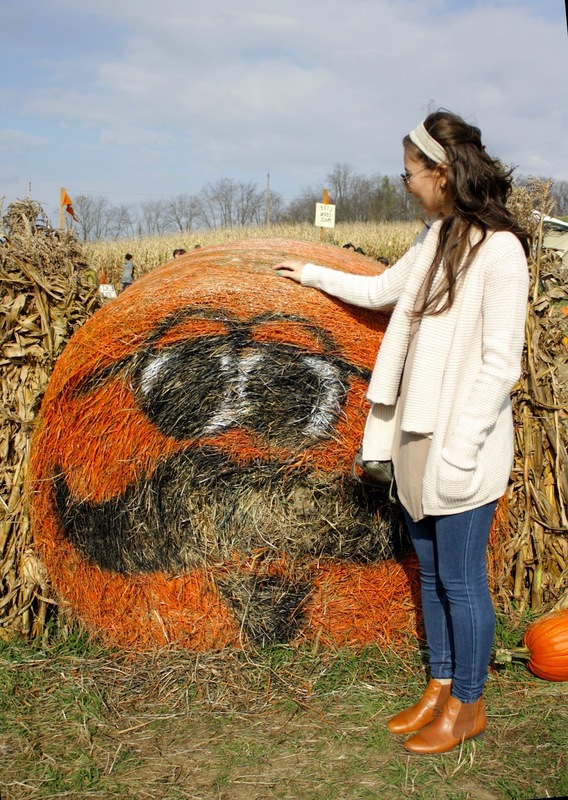 Visiting a patch, picking out pumpkins, petting farm animals, and just enjoying the farm life for a couple hours always put me in such a fall mood. The atmosphere at the patch was so festive and inviting, I wanted to spend the whole day there. I went with my sisters, and we enjoyed some quality time picking pumpkins, going through the corn-maze, eating caramel apples, and taking pictures, of course. We also had time to visit the farmer's market there and buy fresh and organic veggies and fruits. For this fun-filled day, I decided to wear a cozy and warm knit cardigan. Underneath it, I wore a light waterfall cardigan as a shirt by pinning the one side on top of the other. Overall, it was a neutral and flowy look that was super comfortable. What are some of your favorite fall activities? Let me know in the comments below! Perfect look for the day! Hope you had fun -- it sure looks like it was a great time! I love your cardigan and the flowy shirt underneath! 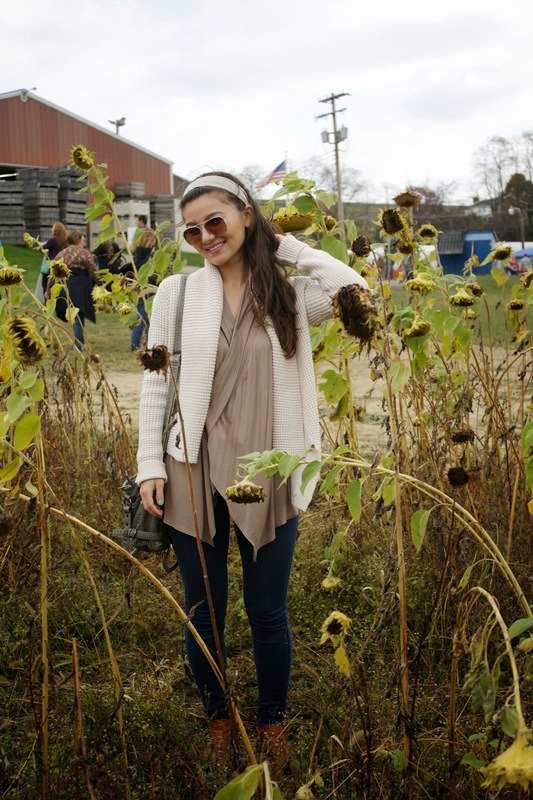 This look is so cute and the pumpkin patch looks so fun! Thanks for the sweet comment on my blog! I followed you on bloglovin so I can read more! I love the shot of you in front of the teepee thing haha so cute!